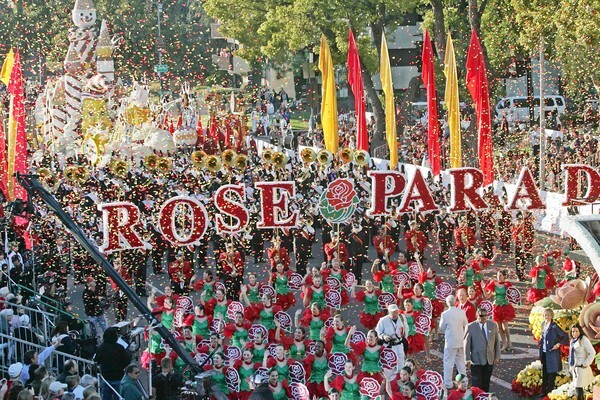 Although the name of the festival "Rose Parade' sounds quite romantic, but after all is over - just about 50 tons of trash and five tons of cardboard was left behind for the workers to clean up. A team of 80 workers swept through the parade route Monday night and Tuesday morning, cleaning up debris and scrubbing streets and sidewalks after Pasadena's largest event, which attracted hundreds of thousands of people this year. The figures are preliminary and are based on last year's haul and on field estimates by the city Public Works Department, according to city spokeswoman Ann Erdman.